The virus can cause fever, vomiting, seizures and memory loss -- and about 10 percent of all cases are fatal. Be watchful of ticks this year, as more are predicted to carry viruses. Scientists have already said an unusually large abundance of acorns in the northeast two years ago fueled a population boom of white-footed mice last year. Dozens of ticks can attach to a single rodent, feed on its blood and acquire the bacteria that causes Lyme disease. Now, many are concerned about Powassan virus (POW), associated with fever, vomiting, seizures and memory loss. About half of survivors have permanent neurological symptoms and 10% of all cases are fatal, according to the Centers for Disease Control and Prevention. Symptoms usually show up one week or a month after the tick bite. No vaccines or medications are available to treat or prevent the virus infection, the CDC reports. About 75 cases of POW virus disease were reported in the United States, mostly in the northeastern and Great Lakes regions, over the past 10 years. 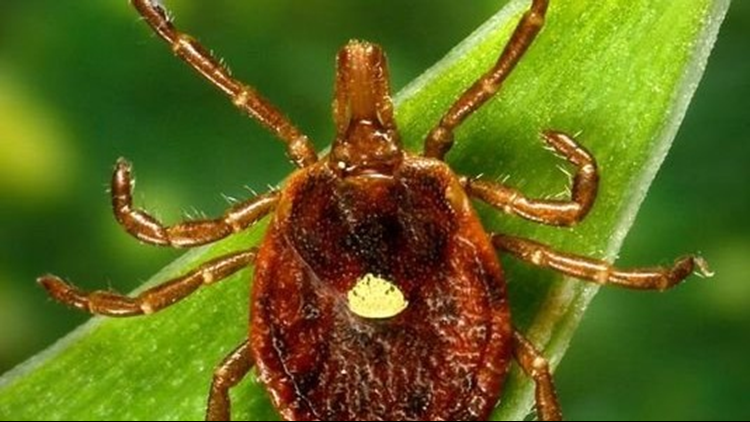 Goudarz Molaei, a research scientist at the Connecticut Agricultural Experiment Station, told CNN he's seen "nearly 1,000 ticks" since April 1, a huge increase from the one to two per month he sees in the winter. The rise is attributed to two consecutive warm winters, CNN reports. The best way to protect yourself from Powassan is to avoid contact with ticks by applying DEET repellents and staying away from wooded areas. The CDC recommends parents actively check children, especially hair, for ticks. Scott Fallon of The (Bergen County, N.J.) Record contributed to this report.